What is the AutoMax Premier Collection of Vehicles Near Raleigh NC? 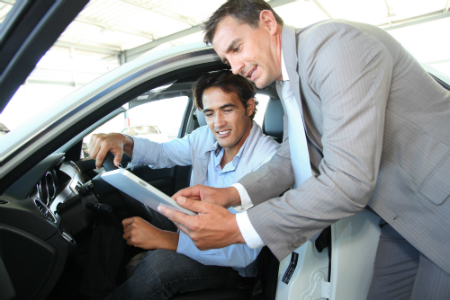 When car shoppers are looking for a newer or luxury kind of vehicle, they might avoid going to a strictly pre-owned car dealership. While we sell affordable vehicles to all kinds of drivers in the Raleigh area, we also offer plenty of newer and luxury models for interested drivers through our Premier Collection. So exactly what is the AutoMax Premier Collection of vehicles near Raleigh, NC? Here at AutoMax, we are a Buy Here Pay Here dealership. This means that many customers of high or even low credit are able to finance a used vehicle directly through us. In fact, nearly 90 percent of our inventory is sold to drivers with our Buy Here Pay Here approach. This financing option is often available through our more affordable vehicles, often between $8,000 and $14,000. Read more: What are some precautions to take before driving at night? However, instead of just seeing extremely affordable vehicles for sale at our locations, you’ll find a wide variety of models for sale, including luxury and impressive newer models with varying starting price points as a part of our Premier Collection. Although, when it comes to purchasing a vehicle from our Premier Collection, these vehicles are sold through a bank or credit union. We pick a lender that will be able to fit your current living situation, circumstances and desired payments, in order to allow you to drive home with a Premier vehicle. We can also help customers continue to grow their credit by applying for financing and buying through our dealership. If you would like to learn more about the AutoMax Premier Collection of vehicles near Raleigh, NC, be sure to contact us at AutoMax. This entry was posted on Monday, October 2nd, 2017 at 9:43 pm	and is filed under Car Buying/Selling, Credit Tips. You can follow any responses to this entry through the RSS 2.0 feed. You can skip to the end and leave a response. Pinging is currently not allowed.